If you are sitting by your computer eagerly awaiting the day when you can buy your favourite tunes in DRM-free format, you won't have to wait much longer. Since Apple announced its deal with EMI to offer DRM-free music on the iTunes Store , the question on everyone's lips has been when the tracks will start to appear on the online music store. The companies originally had the release of DRM-free tracks down for "May". Apple's desire to offer the whole EMI back catalogue at the same time is given as one of the reasons for the delay. Encoding the entire EMI back catalogue to the new 256Kbps AAC bitrate without FairPlay DRM obviously takes a while, but now reports are suggesting that it is close to being finalised. 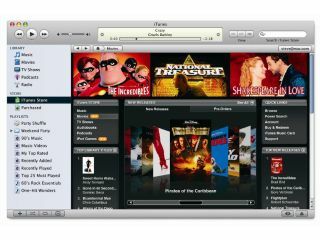 It may even be possible to buy DRM-free tunes from the iTunes Store as early as this week, Electronista reports. Other sources quote the launch as happening this evening, 29 May. We'll have to wait and see. Since signing the agreement with EMI, Apple has also done similar deals with Amazon and VirginMega.